"So, Which Lake Garda Places to Visit would You Like To Know more about?" Find out where all the best Lake Garda places to visit are by using our Lake Garda map below. There are so many great places to visit on Lake Garda and it has so much to offer you no matter what your interests. We've been to them all and you can find out more about each place here. The lake is surrounded by so many wonderful towns, it really is difficult to choose a favourite! 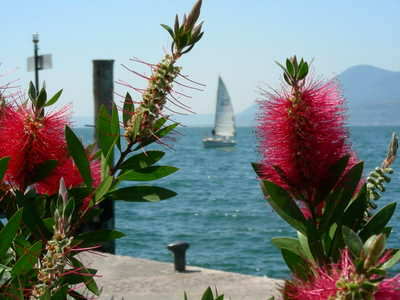 So...Ready for Lake Garda Places to Visit to be revealed? 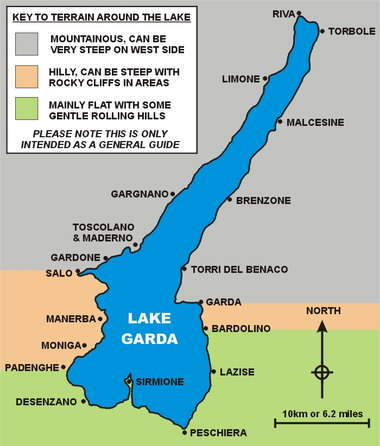 If you would like to see more detailed maps showing Lake Garda satellite or road maps, please just click on the link. These maps are customizable and you can scroll around and zoom in or out, to make your own ideal map. be the best places to stay. Arco is worthy of a mention because rock climbing is so big here. The town is located around 5 kilometres north of Riva (at the top of the lake) and features fantastic rock climbing and training facilities. There are loads of massive rock faces which are favourite places to scale by experienced rock climbers. The town has a dramatic castle which sits on a vertical stack of rock behind the town. The town itself is a very pleasant place with lots of nice buildings, shops and restaurants. 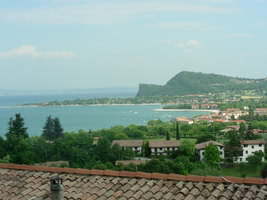 San Felice town itself is located a bit away from the lake and is a smaller, less significant place. Never the less there are many properties spread around this area still classified as San Felice and is therefore worthy of a mention. From here you can get very nice views of both the rock of Manerba and Isola del Garda (Lake Garda's largest and prettiest island). You will find San Felice between Manerba and Salo. Do you find the idea of looking through all the different pages on all the towns too hard work? Then discovering our quick and easy route to getting a flavour of all the main Lake Garda towns! 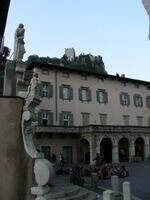 Why not sit back, relax and watch our Lake Garda towns slideshow and then just look up the towns you like best. There are many great beaches around the lake to relax on! 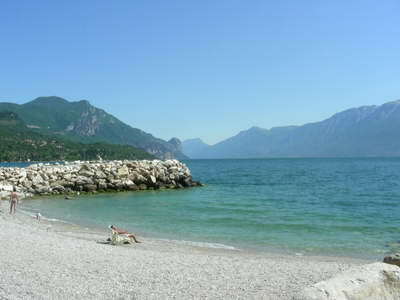 Did you know that Lake Garda has in excess of 45 km of free beaches! Find out about all the best beaches and what to expect in general regarding the beaches there. 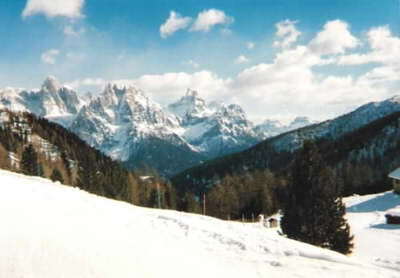 The Dolomite mountains to the north of Lake Garda are stunning, with jagged and near vertical peak in some places. This is a great place to drive or hike round in the summer or ski in the winter. Which Lake Garda town is your favourite? Which is the best Lake Garda town? Why not share your story about your top town and you are highly likely to get your own spot on our website! Your story could well feature on a dedicated web page and may even get in our newsletter too! How good would it feel to show your friends and family your own Lake Garda story on a well respected Lake Garda site! We love pictures as well, so feel free to send us your best shots and there will be no mistaking you then! Which part of Lake Garda to visit first? Where to stay on Lake Garda? Which Lake Garda town to use as a base? Which lake Garda town for travelling with toddler? 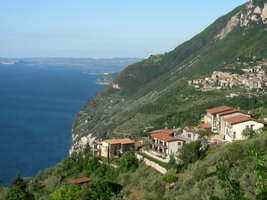 Click here to go from Lake Garda Places to Visit to the home page.